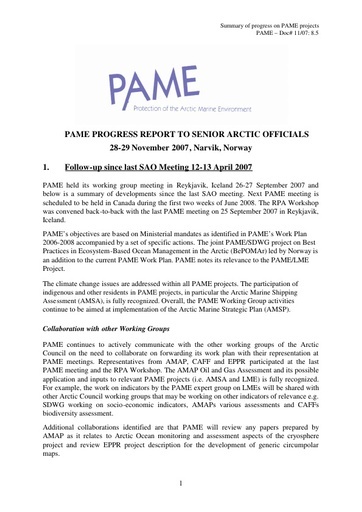 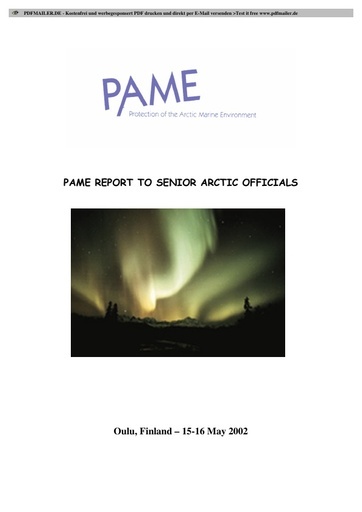 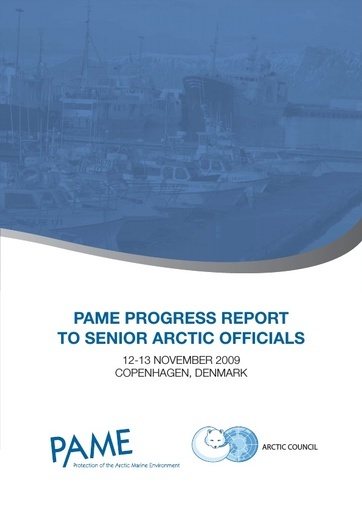 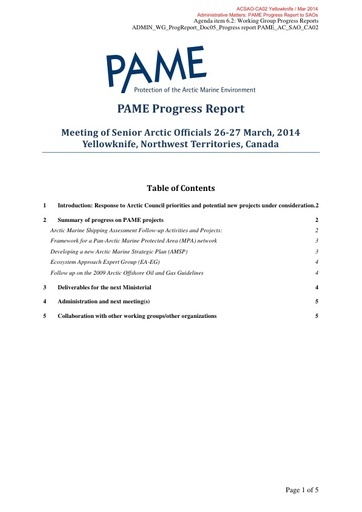 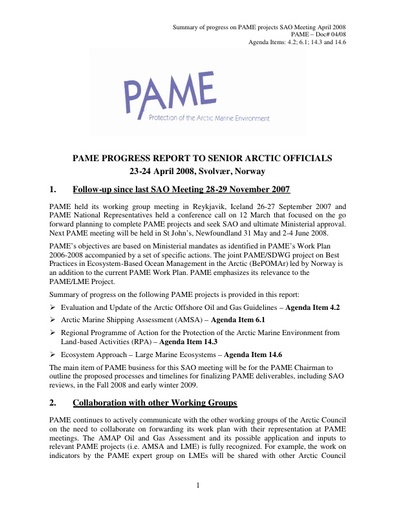 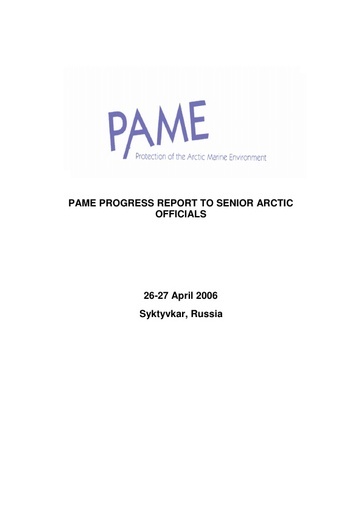 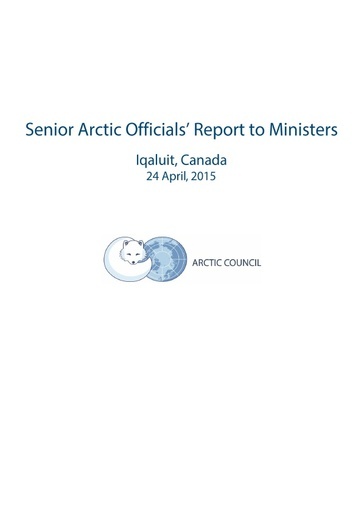 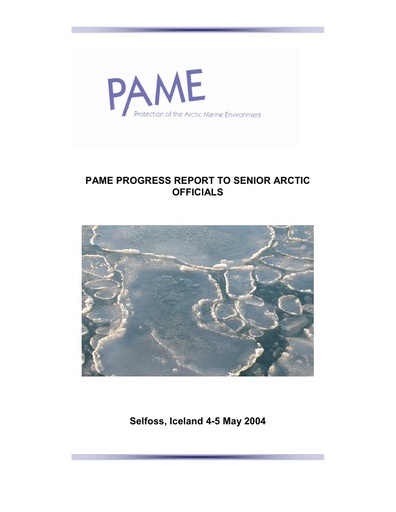 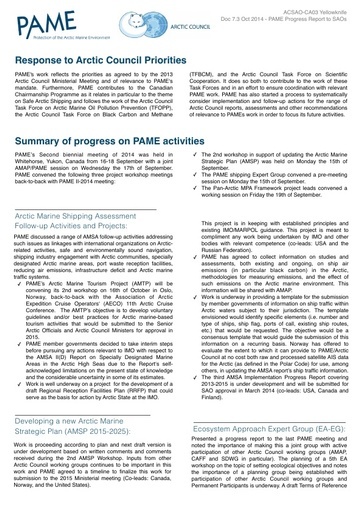 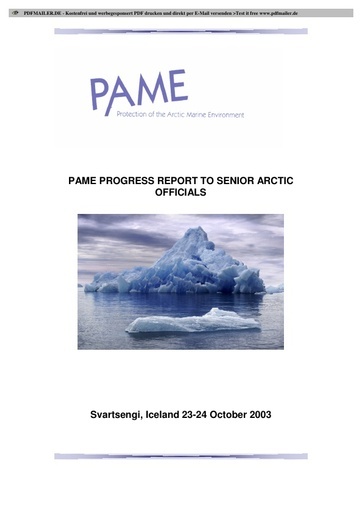 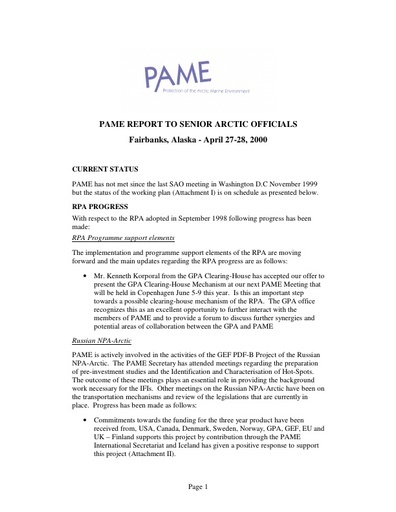 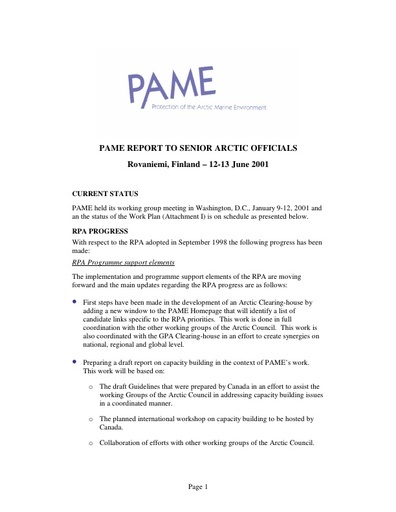 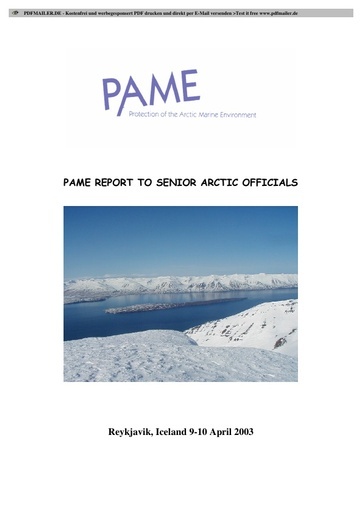 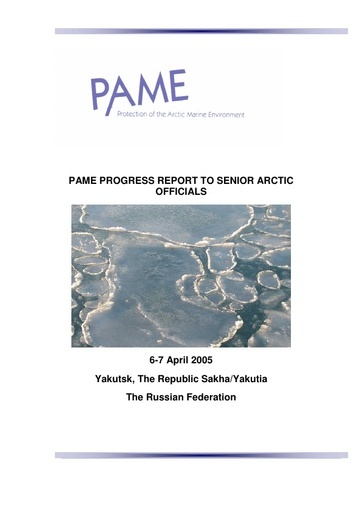 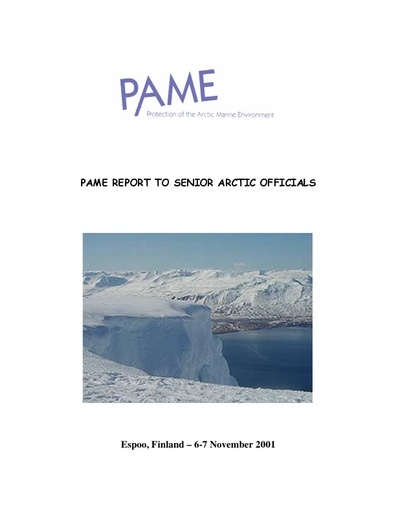 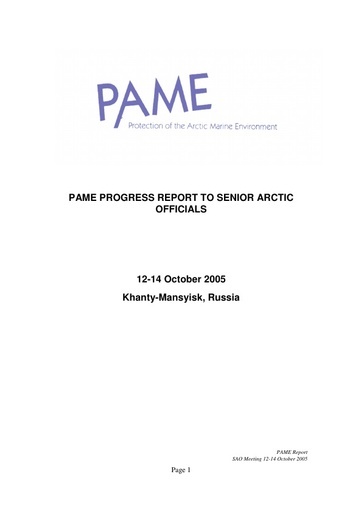 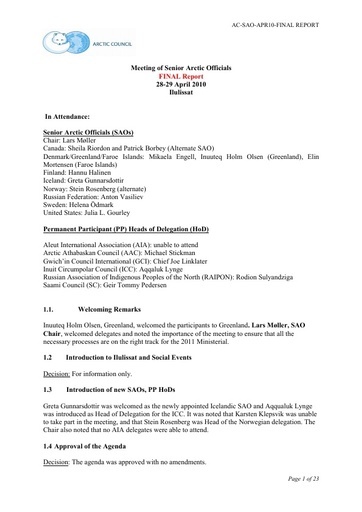 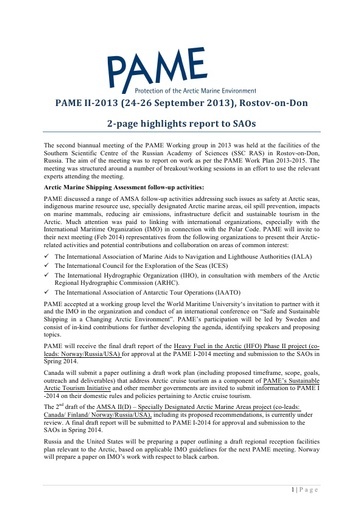 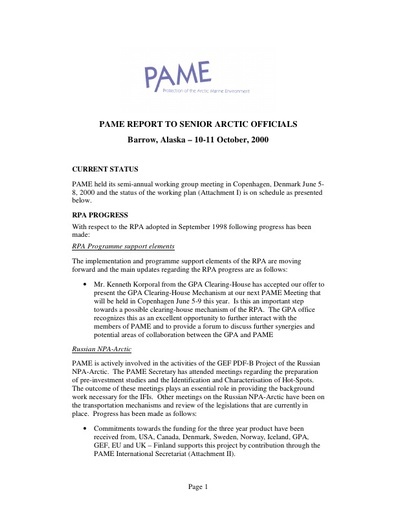 The reports to the Senior Arctic Officials are generally short and concise overviews of the PAME working group proceeedings between SAO meetings. 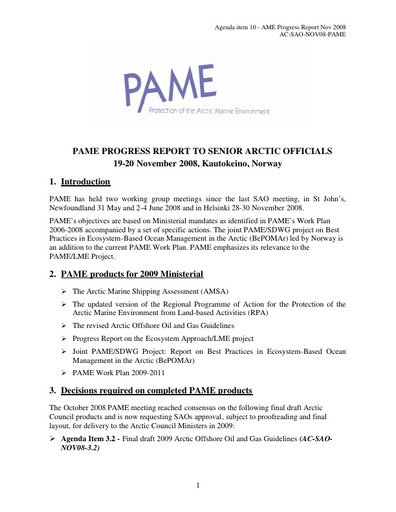 They give an update and overview on ongoing projects. 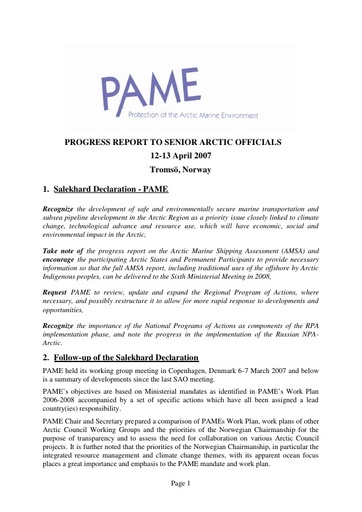 SAO meetings are held regularly but progress reports are generally released once or twice per year.